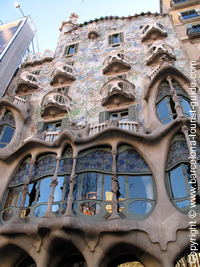 Modernism It was an artistic movement that swept Europe during late 19th century and early 20th under diverse, as Art Nouveau or Jugendstil, depending on the country and language names. 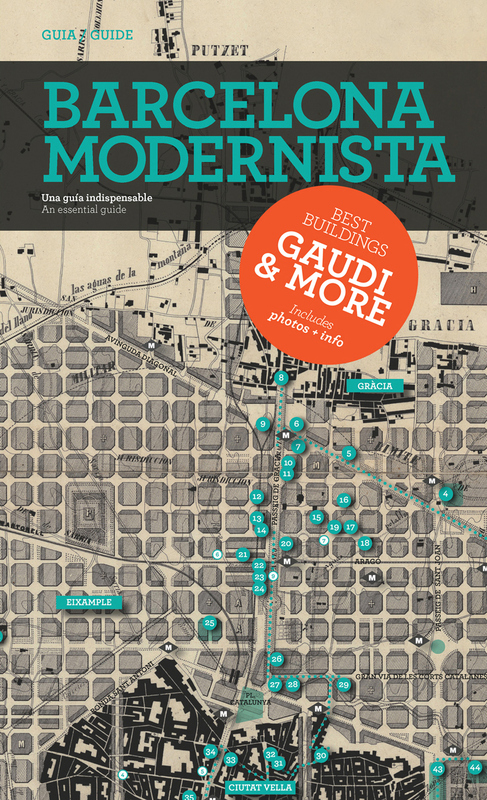 It was an art new, transgressive and free, but at the same time democratic, guided by the ideas of John Ruskin and William Morris. 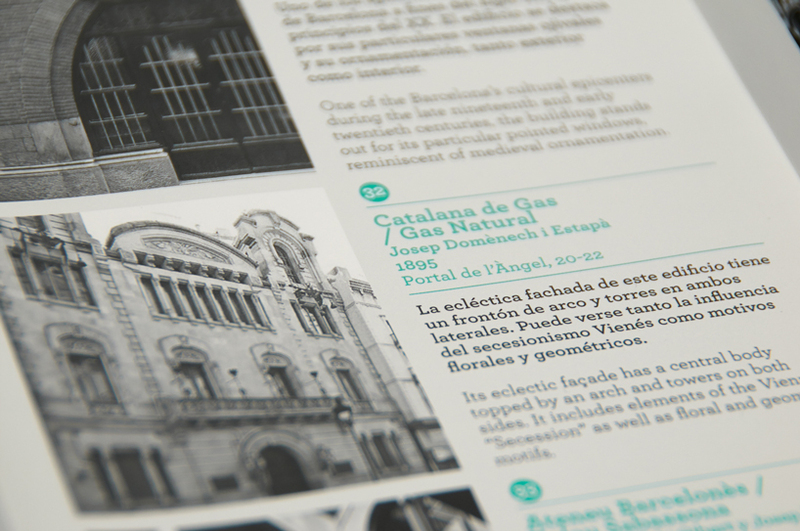 In Catalonia had a great acceptance, especially in the field of architecture, thanks to two great as Luis Domenech i Montaner – Palau de la music – and Antoni Gaudí – I think that it does not need introduction – although there were many others who left their mark. 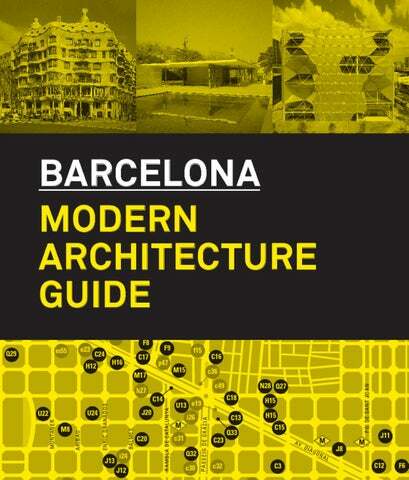 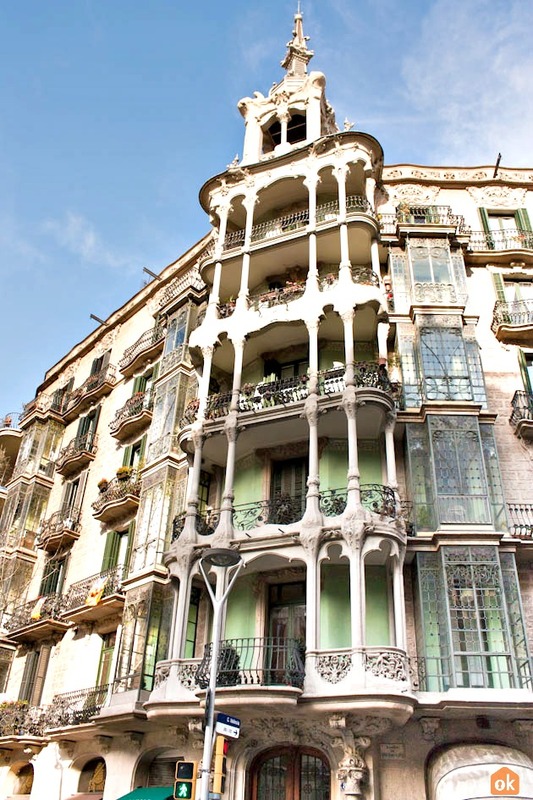 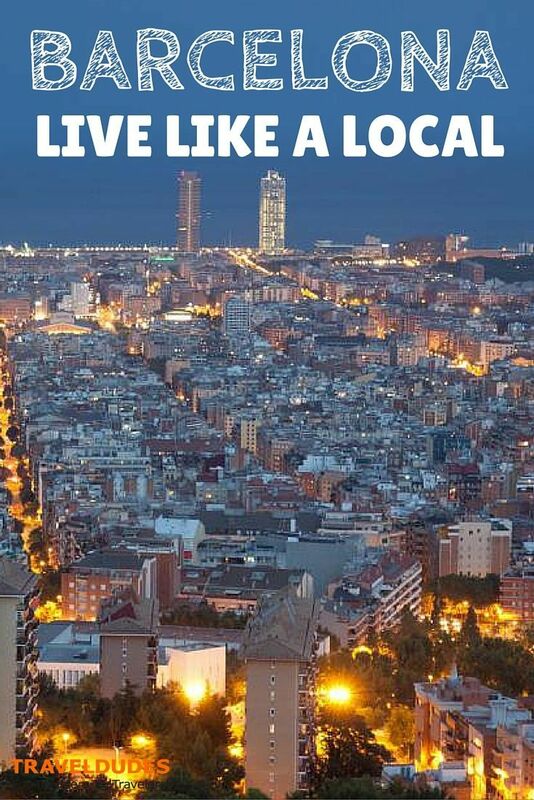 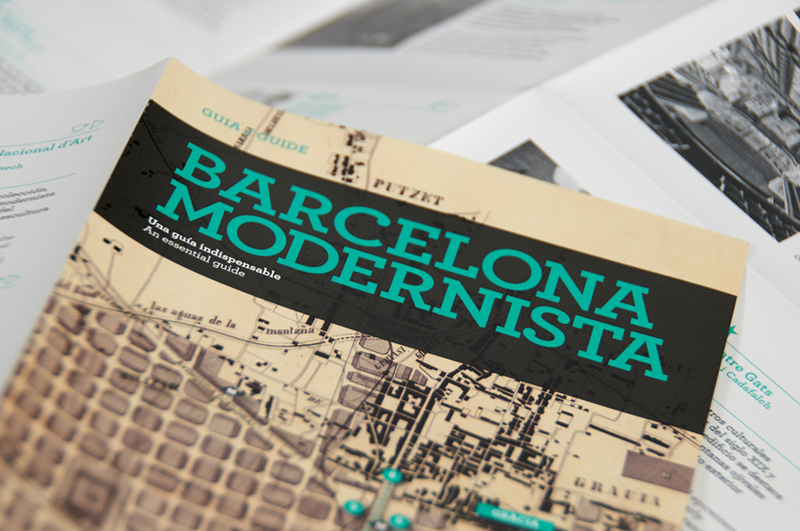 A legacy that we can now enjoy thanks to the indispensable guide from the modernist Barcelona. 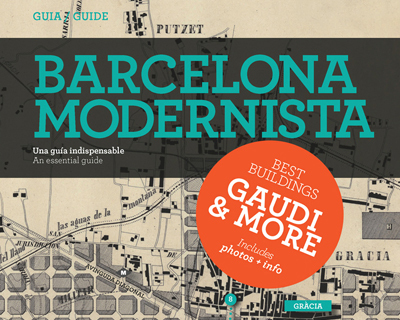 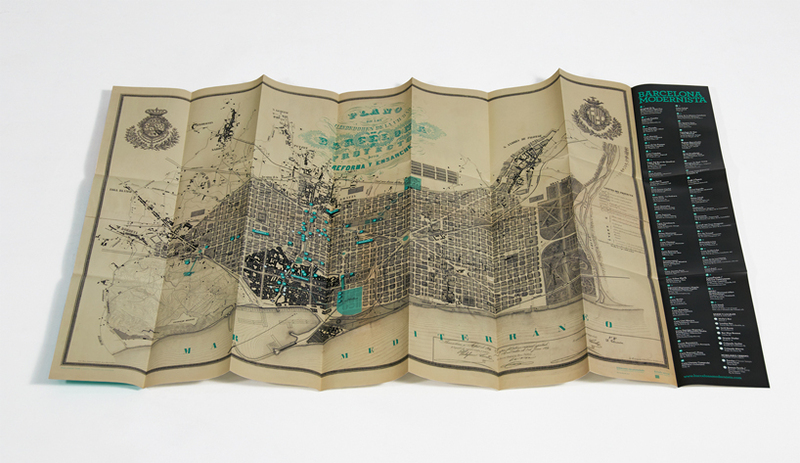 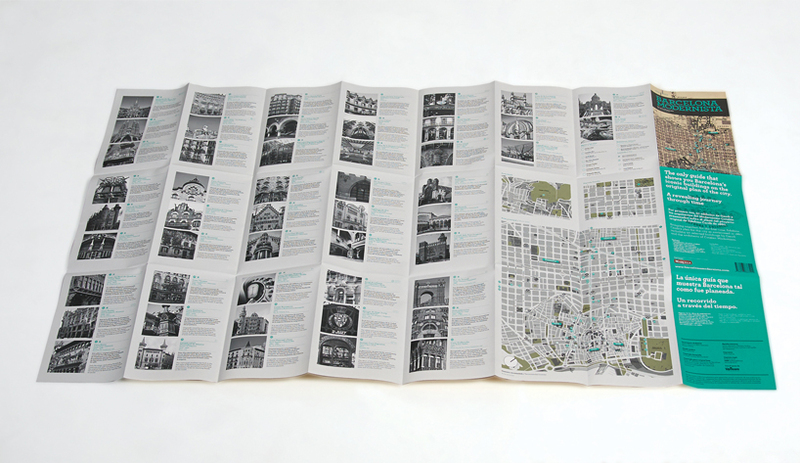 In fact it is not a guide, but rather a beautiful drop-down map with directions where to find the most important modernist buildings of the city, as well as basic information about each work on the part of the back. 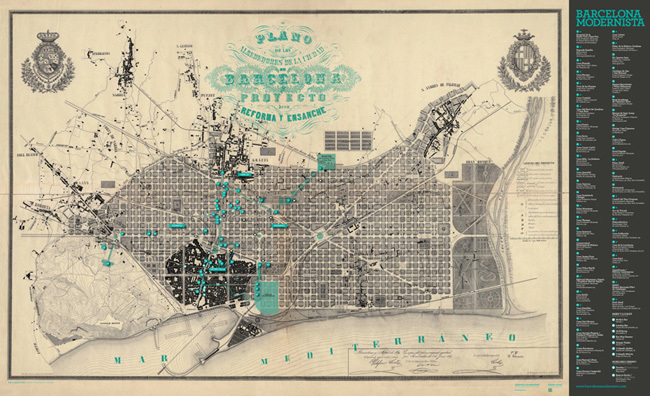 The most interesting is that the illustration of the map is the same as the original of Ildefons Cerdà, who in the mid-19th century the urban plan devised following the city practically feet deep to the day, so it can be used as a guide without fear losing. 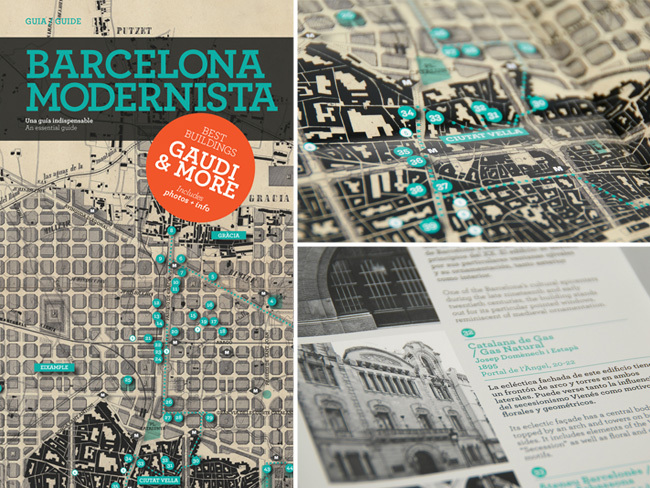 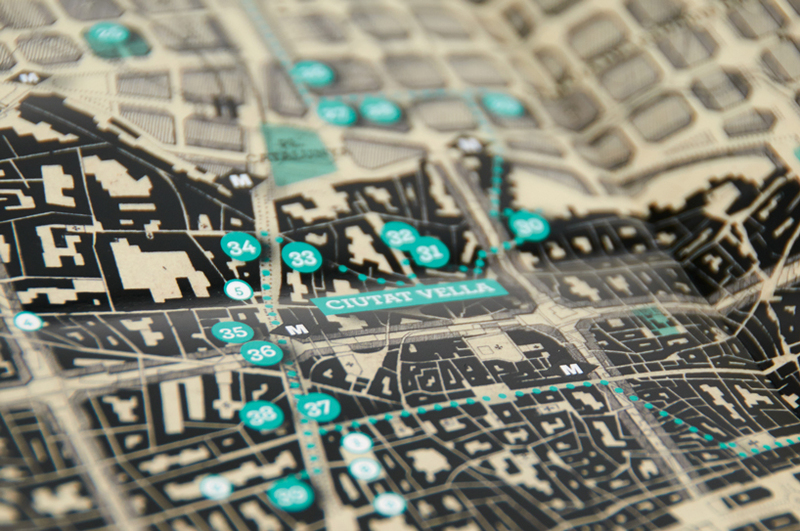 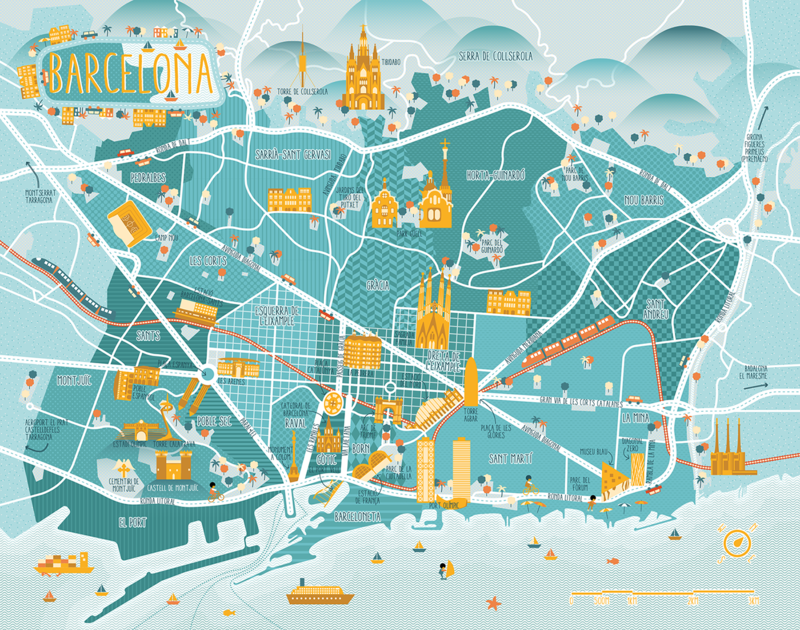 Its price is of 10 euros, so there is no excuse to become the modern – pun – wearing this map while we discover architectural gems hidden in the city of Barcelona.